It was a rare night when I was alone in the house, and got the notion to tackle a sewing project. I haven't sewn in years. Well, there's the mending pile, but that's not real sewing for me. Real sewing, where you cut and work on an actual project, was usurped ages ago by daily domestic life. It turned out I liked cooking. When we started the garden I liked that, too. It turned out I loved canning and that is a real blessing. A home to decorate, a baby, I liked sewing less and less. Finally, I put away my sewing things for a day in the future when I will navigate a season of quilting projects and pretty dishes. Today is not that day. Tomorrow doesn't look good, either. It was a reminder to be content with here and now. You can't build a snow man while you're planting tomatoes, and each season of life brings its own tasks, rewards, and sacrifices. The only sensible thing to do is build contentment and honor God by practicing gratitude and give thanks for what I can do today. I have found that practicing gratitude, good fellowship, and setting attainable goals go a long way towards a fulfillment that overflows into cheerful giving and a joyful heart. In resignation, I packed up my machine and the project that didn't go well, and tried not to get upset at the time I wasted that night as I attempted to rekindle a forgotten talent. In that time I could have baked a dessert. Or removed the tree limb someone brought inside. What happened to my "no sticks in the house rule"? It turned into a "no sticks at the dinner table" law and then the serious "no sticks in bed" mandate. 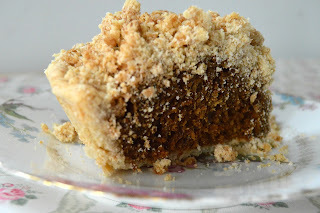 For well over a year now I've had in my possession an authentic state fair prize-winning shoofly pie recipe which I had every good intention of baking long before now. This recipe is not mine. You can find my old tried and true standby here. 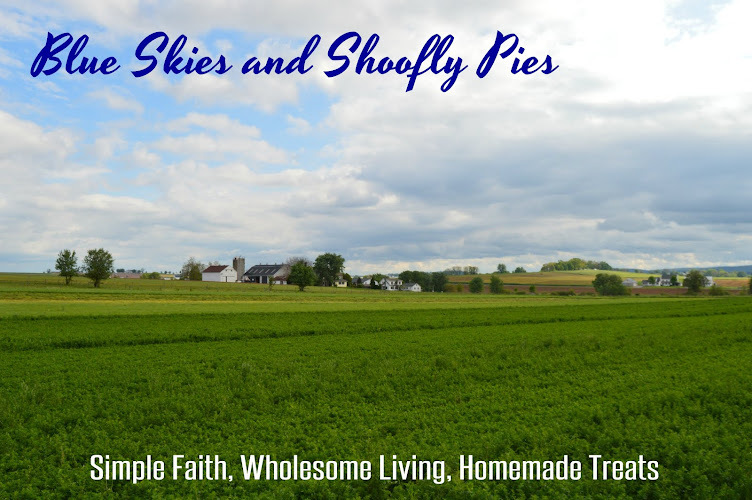 This shoofly is based on the blue ribbon winner at the PA state farm fair back in 2014. I've made two significant changes to it. 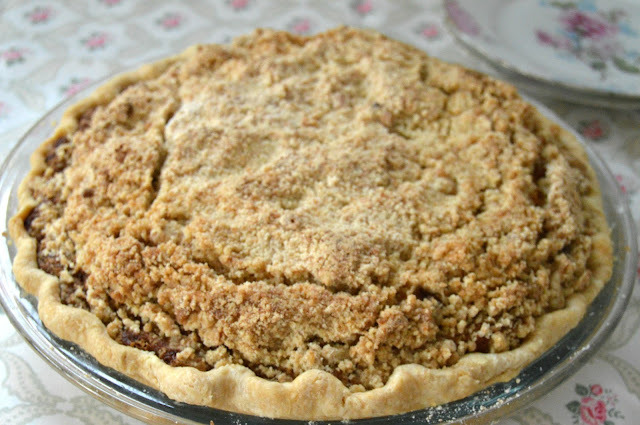 I used my own pie crust because the crust in the recipe would easily take half a day to prepare. At this phase of my life, I appreciate short cuts and busy mom techniques as much as possible, so making my own usual pie crust was a sanity saver. The other change I made was I swapped the molasses out for sorghum. When I make shoofly I usually do a 50/50 sorghum and molasses mix for the filling, but this time I went all out. I had a recently heard that sorghum is a wonderful antioxidant and also boasts a low glycemic index. Plus, I had a whole jar of it and I'm out of molasses. When I pulled it out of the oven, I was shocked to find that the pie had risen as high as a cake. It didn't deflate as it cooled, either. I called it a mile-high shoofly. It was a little dense and cakey, not quite as wet as I like mine to be, but never a complaint was heard. In a small bowl, combine the brown sugar, molasses/sorghum, egg, flour, and baking soda. Gradually add the boiling water. Cool to room temperature. Pour into crust. In a large bowl combine the flour, brown sugar, and baking soda. Cut in the butter until crumbly. (Note: I like a pastry cutter for cutting cold butter into any flour mixture.) Sprinkle over filling. Bake at 350 for 45-50 minutes. Cool on a wire rack. "This pie is better than the other pies." You are right, being grateful and accepting temporary limitations make for a smoother life. Think you for the recipe! Oh, my, that looks good! "You can't build a snow man while you're planting tomatoes" - adding this to my favorite "Monica quotes"!